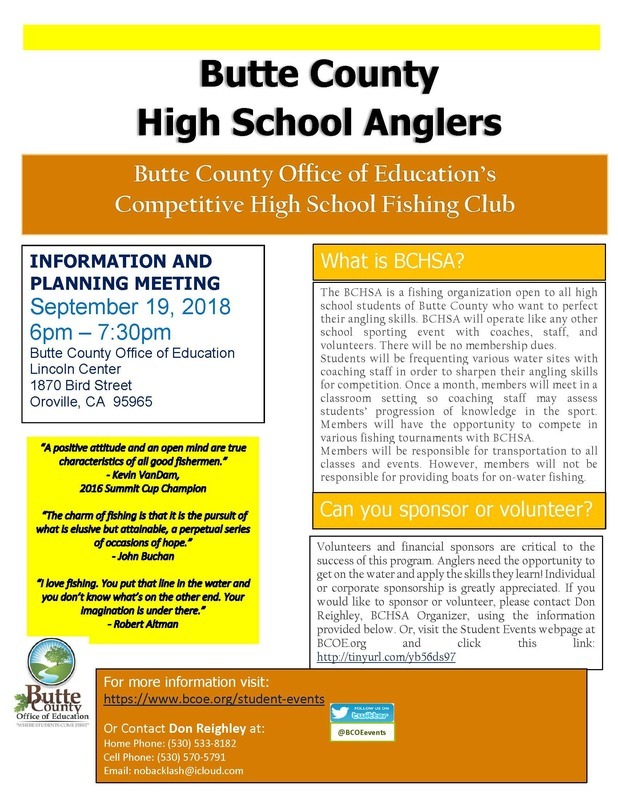 The BCHSA is a fishing club run through Butte County Office of Education open to all high school students of Butte County who want to perfect their angling skills. BCHSA will operate like any other school sporting event with coaches, staff, and volunteers. There will be no membership dues.